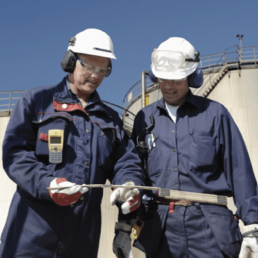 In onshore and topside offshore fields, water cut meters and probes have been used for nearly 50 years, and is a commodity that in some form or shape is deployed in nearly all conventional oil field developments. However, most water cut meters are designed for two-phase (oil & water) applications, while most subsea fields transport unprocessed multiphase flow to the surface. The traditional requirement for water cut meters for processing facilities applications (e.g. production separators) are thus rarely found subsea. For the same reason, most major suppliers have been slow to adapt their technology for subsea use. The Sentech Subsea Water Cut Meter utilizes the same highly robust SeCaP sensors as the conventional Sentech Water Cut Meter, along with dual redundant power and communication channels. As one meter utilizes several SeCaP sensors (6 in above design), it also offers multiple levels of redundancy on the primary measurement. Meter body material and wetted parts, as well as process and electrical connections, can be supplied to customer specifications. As the Sentech Subsea Water Cut Meter measures water also in multiphase flow (as a percentage of total volume of Oil+Water+Gas), the most useful application for subsea fields is for real-time monitoring of the water production from each well. This allows operators to determine which wells are causing changing water cut on the commingled flow that reaches the surface, and also provides immediate warning of water breakthrough at each well. Wet Gas monitoring – for prediction and prevention of hydrates, water breakthrough etc. Do you have any questions about our Subsea Water Cut Meter?